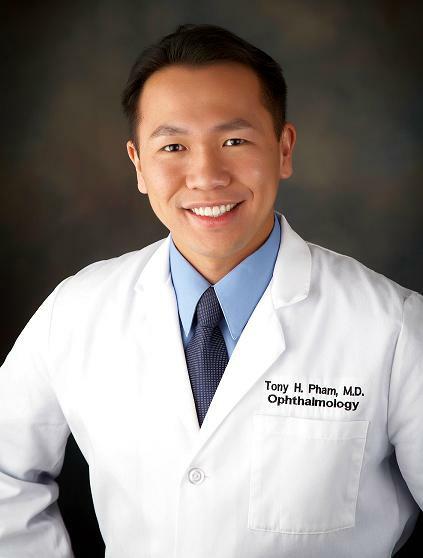 This is a podcast which I broadcast at no incentive to summarize my LASIK results with Dr. Tony Pham, of the Orange County LASIK Institute. "I'm already on the go, recording this podcast on a mobile ISDN, podcast 2 of 3 documenting my journey to better vision with Dr. Pham." I plan on documenting my LASIK progress as I go to help people who may be on the fence about having LASIK themselves. If someone as nervous and reliant on glasses as myself can undergo the procedure, I hope it will motivate others to do the same. Follow my journey with the Orange County LASIK Institute as I review two weeks form the date of surgery. Visit his Orange County or San Diego website today for more information! A composition of great Grant radio moments made for his 23rd birthday. Click here to subscribe to this podcast! Clean Harbors, Inc. (Clean Harbors) is a provider of environmental, energy and industrial services throughout North America. It serves over 50,000 customers, various smaller private entities and numerous federal, state, provincial and local governmental agencies. The Company has more than 175 locations, including over 50 waste management facilities, throughout North America in 36 states, seven Canadian provinces, Mexico and Puerto Rico. It also operates international locations in Bulgaria, China, Singapore, Sweden, Thailand and the United Kingdom. It has four segments: Technical Services, Field Services, Industrial Services and Exploration Services. On July 31, 2009, Clean Harbors acquired 100% interests in Eveready Inc. Eveready provides industrial maintenance and production, lodging, and exploration services to the oil and gas, chemical, pulp and paper, manufacturing and power generation industries. With the access capabilities for multiple computer homes and offices appearing more and more each day it has become increasingly important to have Remote PC Access Software to help manage and troubleshoot your multiple systems from any internet connection. Being able to fix a problem or demonstrate a program from anywhere in the world is not only a luxury, but a necessity in this world of constant contact and communication. Being able to use your computer remotely is very helpful when you need to be able to access multiple sources of data and information without the time or need to travel. I use remote software to help troubleshoot employee problems without expending valuable time and resources on transportation or the expenses of an IT department during tough budget times. Security is also an issue and Proxy Networks has set 256-bit encryption to ensure your safety and privacy needs. Proxy Pro 7 is an excellent piece of software that multiple computer and business owners simply should not be without. The user interface and stability of this program is beyond compare and far exceeding previous software that I have demonstrated for my business use. I appreciate the quality and security of this product and would recommend it to anyone needing to use remote access software for multiple computers. Danny Hauger on the Sports Lodge with Roger Lodge on the day of game 7 Lakers vs Celtics at Staples Center, tonight, 6:00 PM. Doing it all again tomorrow morning at 7:00 AM on AM 830 KLAA. Danny on being the former voice of the Cal State Fullerton Titans and prizes for the winners. United States ties England 1-1 and the World cup opened on a a day of ties, a good reason for showing the first national audience for World Cup Soccer why this was the first tiem the entire tournament is nationally televised. Enjoy this market minute including details on the next workshop. Come enjoy an Evening of Chopsticks and stock charts with Bill Gunderson! Along with finding values comes saving money. As anyone would know who is moving the expenses add up quickly and multiply. I can help you avoid one huge cost by preventing the fees and hidden costs of moving trucks or vans. Instead,avoid u haul rates by having ABF U-Pack moving services to get your things to your destination without the stress and added costs of the big name chains. Check them out today and experience the best move you have ever had. Welcome to Danny Hauger Media Production! Danny Hauger produces original media content at low rates with faster turnaround time. Hauger's style is a modern mix of alternative, acoustic, and instrumental genres self-produced by the artist. If you like the music consider making a donation to support independent music. Enjoy and find more tips at Bill's website, www.pwstreet.com , tell him Danny sent you!